K&N’s lifetime replacement air filters are designed to increase horsepower and acceleration while providing excellent air filtration for your 1985 Fiat Panda. 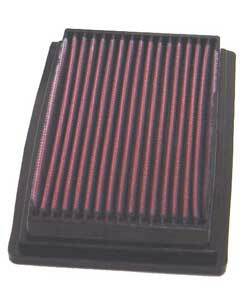 These K&N air filters are custom designed to fit into your existing Panda factory air box. The drop-in design means adding performance is simple. To install these K&N air filters remove the stock disposable air filter and replace it with the new high performance K&N air filter, no cutting or fitting is required.